We are an Oakland, California, plant biotechnology company utilizing cutting-edge breeding tools for high-value crops. Our toolkit includes whole genome selection, advanced tissue culture, molecular genetics and in-house metabolite analytics. With our scientific approach to Cannabis strain development, we have created new cultivars now being commercialized in the legal California market. We are backed by Y-Combinator, and our platform has been featured in TechCrunch. Rev Genomics creates high-value crop cultivars that contain valuable biochemicals such as THCV (Tetrahydrocannabivarin), Cannabichromene (CBC), Cannibidiol (CBD), and hops terpenoids. We offer breeders, cultivators and seed banks disruptive genomic technology to differentiate their products in ultra-competitive, high value markets. Rev Genomics creates novel plant phenotypes and intellectual property for licensing. We collaborate with industry partners to provide molecular fingerprints for their unique strains and seeds. Rev uses advanced tissue culture processes for perfect replication of cultivars. Our technology shortens traditional pheno-hunting timelines down to weeks. We offer innovative genomics and bioinformatics analysis to bestow un-fair market advantage. Nucleic acid sequencing has been commoditized - it is easy and inexpensive. The difficulty is making biological sense of all the data generated. By using our proprietary Genomics Data Pipeline, we are able to process large amounts of data to tailor the plant breeding process for maximal efficiency. 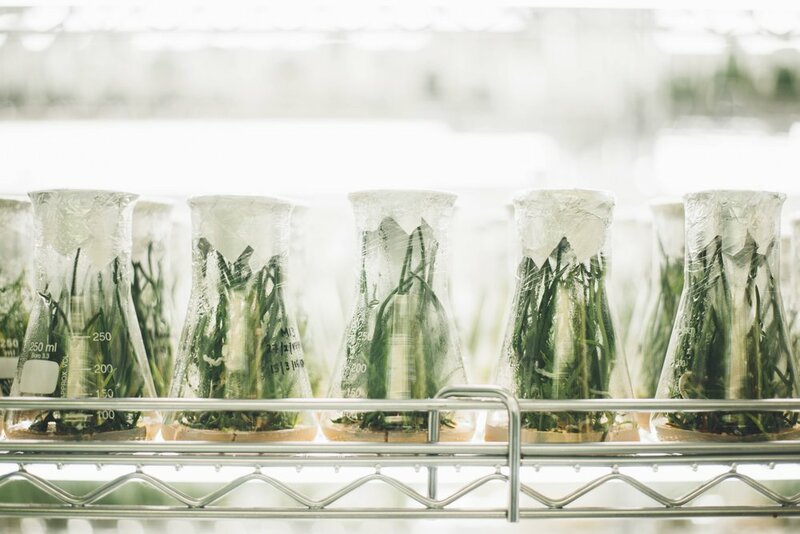 Our process shrinks the time to market, drastically reduces costs associated with cultivar development, and allows for rational phenotype design. Most tissue culture programs focus on large-scale propagation of existing strains. At Rev Genomics, however, we are pioneering tissue culture techniques to create true-breeding cultivars that have unique and stable phenotypes. Our approach to tissue culture is not just about manufacturing, but rather high-value trait creation. Many traits such as yield, growth, and disease resistance are not controlled by a single gene, but rather many genes scattered across the plant genome. Utilizing Whole Genome Selection, we are able to breed and select for numerous traits simultaneously, ultimately stacking useful phenotypes to create game-changing, super cultivars. This methodology is the cornerstone of the Rev Genomics D.A.F. Breeding Platform.